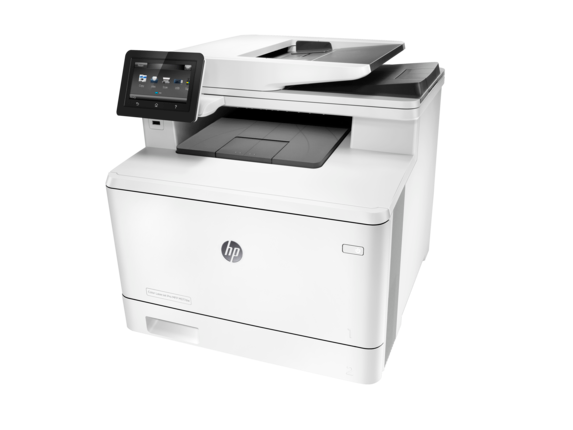 Get impressive performance and security from this easy-to-use colour MFP that finishes tasks fast. 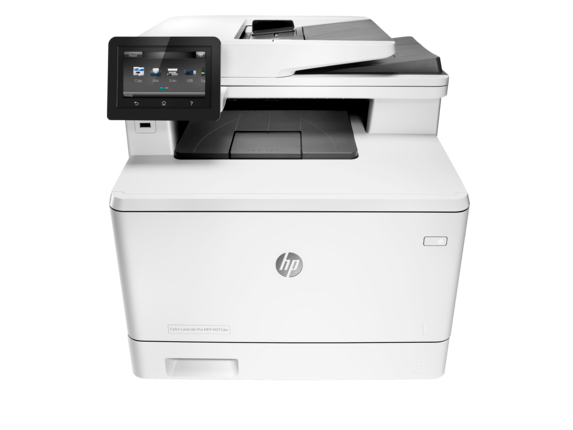 Print, copy and scan with this easy-to-use, HP's smallest-in-class colour MFP that offers two-sided printing and wireless connectivity, and helps you finish tasks fast. Original HP Toner cartridges with JetIntelligence produce more pages. Ideal for teams of 3–10 people printing 750–4,000 pages per month who need a colour MFP that finishes tasks fast while guarding against threats. Shift your office into high gear with this resourceful colour MFP. Print your first page and produce two-sided prints fast, and scan documents quickly. Help protect your device, data, and documents from boot up to shutdown. Bring out the best in your MFP. Print more professional-quality colour pages, using Original HP Toner cartridges with JetIntelligence. Count on better performance and the authentic HP quality. Based on published dimensions for HP colour laser MFPs, available worldwide and with print speeds of 22–28 ppm (A4). Based on cartridge yields for HP 305X compared with HP 410X Original LaserJet Toner Cartridges. For more information, see http://www.hp.com/go/learnaboutsupplies. Requires an Internet connection to the printer. Services may require registration. App availability varies by country, language, and agreements. For details, see http://www.hpconnected.com. 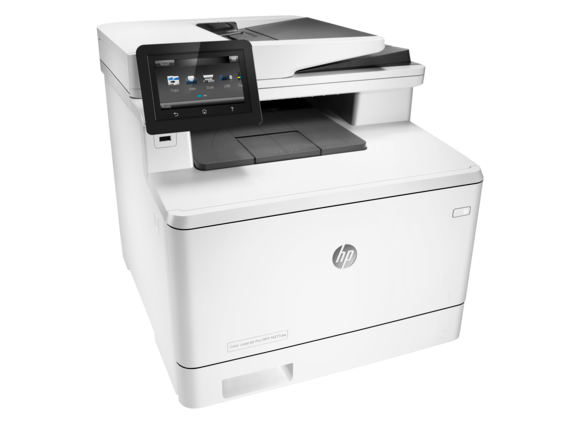 Based on HP internal testing of first page out from sleep mode and duplex print speeds completed 12/2015. Subject to device settings. Actual results may vary. Requires purchase of separate USB flash drive with at least 16 GB capacity. HP JetAdvantage Private Print is available at no charge and requires that the printer be connected to the Internet with web services enabled. Not available in all countries. For more information, see hpjetadvantage.com. HP Web Jetadmin is available for download at no additional charge at http://www.hp.com/go/webjetadmin. Based on comparisons of TEC (Typical Electricity Consumption) data reported on energystar.gov for colour laser MFPs with >1% worldwide market share as reported by IDC as of Q3 2015, available worldwide and with print speeds of 22–28 ppm (A4). Actual results may vary. Learn more at hp.com/go/ljclaims. Based on comparisons of TEC (Typical Electricity Consumption) data reported on energystar.gov for HP colour laser MFPs, available worldwide and with print speeds of 22–28 ppm (A4). Actual results may vary. Mobile device needs to be connected directly to the Wi-Fi® network of a wireless direct-capable MFP or printer prior to printing. Depending on mobile device, an app or driver may also be required. Learn more at http://www.hp.com/go/businessmobileprinting. Wireless performance is dependent on physical environment and distance from access point and may be limited during active VPN connections. Declared yields based on ISO/IEC 19798 and continuous printing. Actual yields vary considerably based on images printed and other factors. For details see http://www.http://www.hp.com/go/learnaboutsupplies. 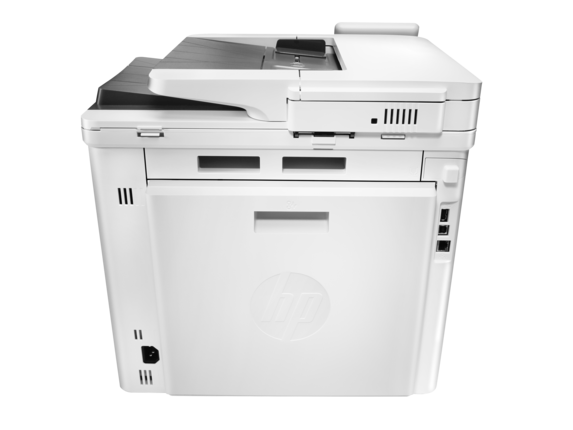 HP recommends that the number of scanned pages per month be within the stated range for optimum device performance. Windows and Mac support almost the same file types except Mac supports JGP-2000 instead of BMP. Printer ships with preinstalled introductory cartridges Cyan, Magenta and Yellow (CMY) (1,200 pages) and Black A (KA) (2,300 pages) with Auto Toner Seal Removal for all cartridges.